Organised by the British Council, Natural History Museum (who hosted this) and the Stakeholder Forum for a sustainable future (the latter being a collection of major companies committed to ensuring that corporate operation is genuinely sustainable in future) the Earth Debates brought together a wide range of people to debate all these issues that are key for our future, that of wildlife and indeed of the world itself. Quite a task, and exciting plus rewarding. Old Macdonald is fully supportive of the Stakeholder Forum for a sustainable future proposal to Rio + 20 for there to be new regulations to get major companies to publish their environmental impact alongside their financial reports and hopes that this key objective can be achieved in Rio this year. If you want to know about our views on this, email info@omdfarm.co.uk, and if you want to learn more about the Earth Debates visit http://www.nhm.ac.uk/nature-online/biodiversity/earth-debates/. If you are concerned about these matters, visit http://www.zsl.org/conservation/about-conservation/conservation-policy/healthy-planet/ and sign the pledge there to show your concerns and add to the petition. 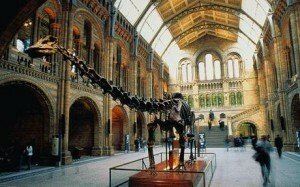 By the way, the Natural History Museum is still free to enter and a great and valuable day out for all the family. We strongly recommend it to you! 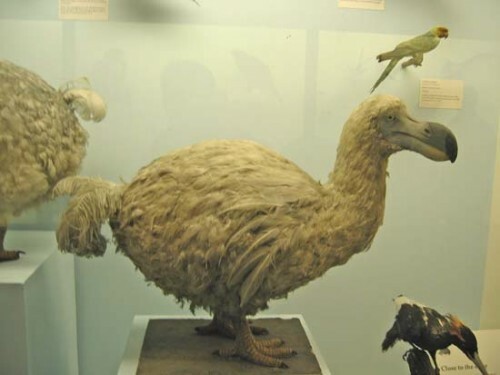 Our images are from the NHM and a reminder that whilst humans cannot be blamed for the loss of the Diplodocus, we can for the Dodo but it is not too late to prevent any more of the creatures with whom we share this world from sharing the same sad fate. Essex Wildlife Trust is the county’s leading conservation charity. It has more than 32,000 members, manages and protects over 7,250 acres of land on 87 nature reserves, 2 nature parks and runs 7 visitor centres. The aim of Essex Wildlife Trust is to Protect Wildlife for the Future. It is supported financially by members, local businesses and grant making organisations. It is one of the largest of the 47 county wildlife trusts that work together throughout the British Isles as The Wildlife Trusts. Essex Wildlife Trust was established in 1959 and has grown from strength to strength, always striving to protect wildlife for the future and for the people of Essex. You can join Essex Wildlife Trust, and visit www.essexwt.org.uk for more information (and we urge you to do so). Now while you should join Essex Wildlife Trust, they actually came and joined Old Macdonald’s Farm for the week leading up to and including Good Friday, bringing a stand and display and talking to our many visitors. Great to welcome them, and look forward to their coming back again. 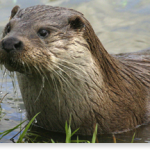 Our image shows a wild Essex Otter and not one of our Malaysian Short Clawed creatures (who only get wild if you do not pay them enough attention). What a vital task the Trust has to protect the wonderful Essex countryside and encourage you to appreciate the beauty of this lovely county. Is there Palm Oil in your Christmas Pud?